British luxury brand Aston Martin and Formula One team Red Bull Racing are today announcing a partnership which sees Red Bull Racing’s Chief Technical Officer, Adrian Newey and Aston Martin’s Chief Creative Officer, Marek Reichman collaborate to produce a ground-breaking Aston Martin hypercar. 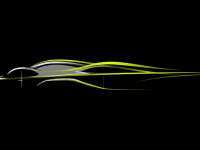 Codenamed Project ‘AM-RB 001’, the new hypercar will represent the ultimate blend of cutting edge F1TMtechnology with Aston Martin’s signature sports car design. 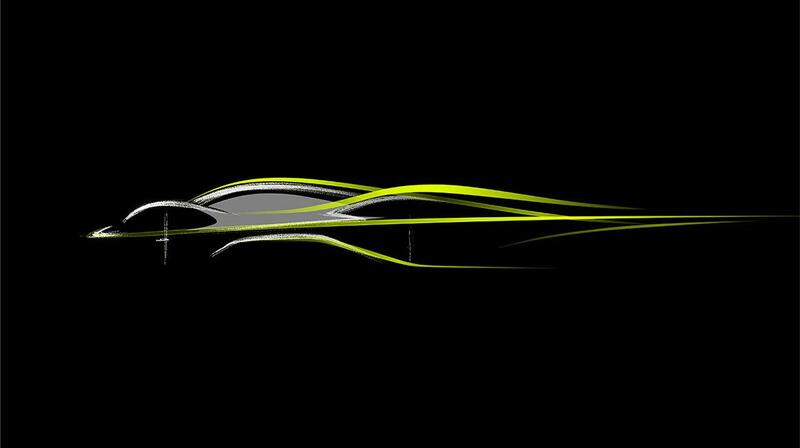 The combined talents of Newey, widely noted as the most successful Formula One designer of all time, and Reichman, Aston Martin’s design chief since 2005, are set to produce the ultimate hypercar. Combining the strongest elements of Red Bull Racing, Red Bull Advanced Technologies and Aston Martin, this new Innovation Partnership unites the world’s best aerodynamicists, composite experts and manufacturing masters. All the parties offer different elite capabilities and the combination of all of those skills, ensuring that Project ‘AM-RB 001’ promises to be an exciting prospect for customers and enthusiasts around the world. Aston Martin CEO Dr Andy Palmer said: “Formula One offers the ultimate global stage to build wider awareness of the Aston Martin brand. However, this partnership will deliver even more than that when the hypercar that Aston Martin and Adrian Newey are in the process of developing hits the road. 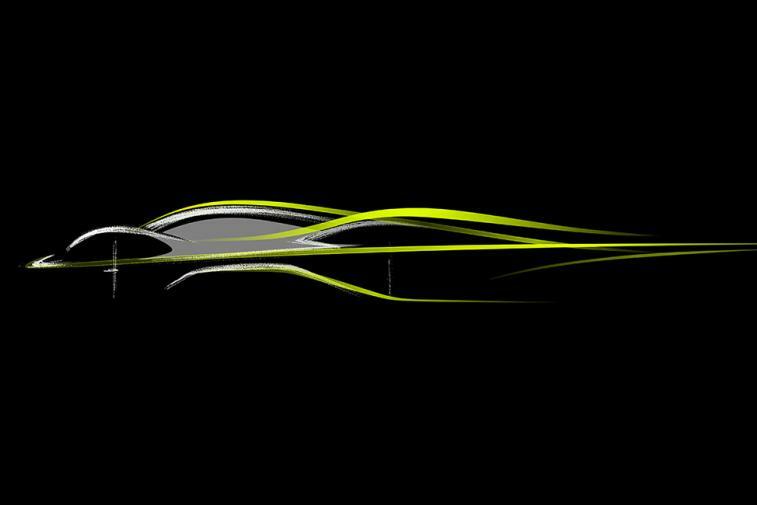 “Between Q by Aston Martin Advanced, Red Bull Advanced Technologies and project partner AF Racing AG, we are going to create a car that will excite and stir the imaginations of the car designers of the future and a global audience of sports car enthusiasts. As the designer of cars such as the Aston Martin DB11 - which was revealed earlier this month at the Geneva International Motor Show - the Aston Martin Vulcan and the One-77, Marek Reichman holds the key to the unmistakeable design language of the modern era of Aston Martins. Having an illustrious Formula One career spanning nearly 30 years, and as the designer of ten World Championship winning Formula One cars, the partnership represents a new challenge for Red Bull Racing’s Adrian Newey. “From the age of six I have had two goals in life – to be involved in the design of racing cars, and to be involved in the design of a super car.” Newey commented. “Whilst the former ambition went on to form my career to date, the latter has always bubbled away, resulting in countless sketches and doodles over the years. The Aston Martin brand was borne out of the racing exploits of Lionel Martin - one of the founding partners of the British marque over 103 years ago - and the company made its international motor racing debut at the 1922 French Grand Prix. While motorsport has always remained integral to the brand’s DNA, the most famous moment in Aston Martin’s significant motorsport history is the 1959 outright win at the Le Mans 24 Hours for Roy Salvadori and Carroll Shelby in the Aston Martin DBR1. The modern Aston Martin Racing team, formed in 2005 has taken three class wins at Le Mans and will return to Circuit de la Sarthe again this June. To celebrate the partnership between Aston Martin, Red Bull Racing and Red Bull Advanced Technologies, the RB12s will carry the iconic Aston Martin wings logo throughout the 2016 season, making their debut at this weekend’s Australian Grand Prix at Albert Park in Melbourne.